If you are looking for retail shopping, look no further than Tamworth. With late night opening and a wide choice of shops, Tamworth boasts three retail parks - Ventura, Jolly Sailor and Cardinal Point - all showcasing the leading UK retail brands in a purpose-built area that is easy to access with free parking in front of every store. Santa's Winter Wonderland at the SnowDome returns to welcome families from all over the country at the UK's premier real snow Christmas event, opening on November 16. As well as real reindeer, there is also real snow, real animals and an all new winter wonderland show. Remember that as well as Tamworth’s own 14 nature reserves; the town is bordered by a number of parks which hold their own winter, half term and Christmas events which are brilliant for families. These include Kingsbury Water Park, Pooley Country Park and Heritage Centre, Rosliston Forestry Centre and Conkers Discovery Centre. Visit Tamworth - What's On page for full details of all festive events and activities. 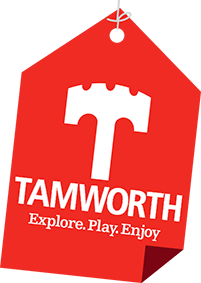 Bands, singers, pubs, clubs and organisations can advertise their events free of charge on the Visit Tamworth website which is responsive and regularly updated to include current news and visitor information. All you have to do is visit www.visittamworth.co.uk and submit an online form. The site can be accessed from mobile devices and also via a new Facebook page which shares the latest promotions and pictures.